DO IT RIGHT, DO IT WELL & DO IT BETTER. Producing more professional & skilled tourism personnel. Focuses on serving end clients directly in a unique, personalized vacation planning method. Hop on to the bandwagon of group travelling, where if you have a group of eight people or more, you can collectively purchase a group package where you will travel with others with a set itinerary. Itineraries are free and easy, with clients choosing their own choice of hotel and itineraries according to one’s budget. There is no constraint on the time schedule, which allows one the flexibility of time. HTC has established excellent networking and good partnerships with hotels and resorts all around Malaysia. Advantages as an established travel agency is that we own our own fleet of coaches and vans. This enables us to ensure that the coaches are always in tip top condition when driven on the road. 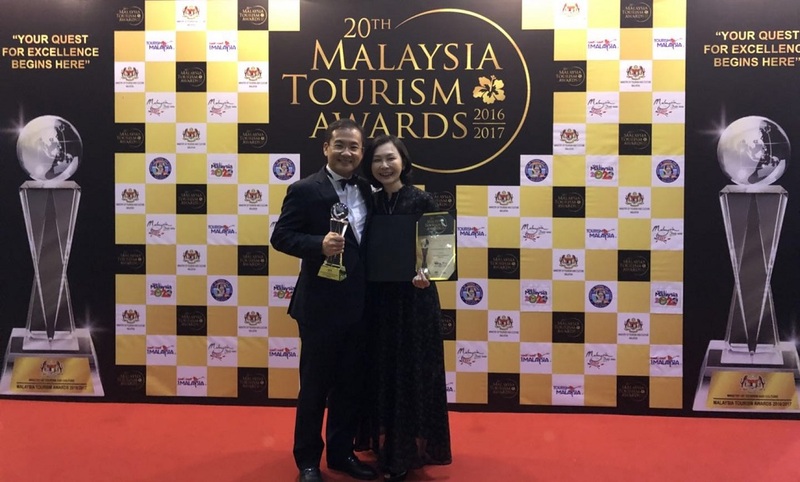 HTC Travel is awarded the “Best Local Tour Operator – Inbound” 20th Malaysia Tourism Awards 2016|2017 by the Ministry of Tourism and Culture Malaysia.